The Whole Mamas podcast is led by Stephanie Greunke, a registered dietitian, and Dr. Elana Roumell, a naturopathic doctor, both trained in functional medicine and passionate about pregnancy, postpartum, and pediatrics. They invite experts on the show, answer burning questions, highlight key points, and make sure you feel empowered to take action. Past guests have included Dr. Ben Lynch, Dr. Low Dog, Dr. Sarah Ballantyne, Melissa Hartwig, and Chris Kresser, L.Ac. Subscribe and join their community of mamas as they chat about health, nutrition, mindset and more! In part two of our episode with Ali Miller, RD from AliMillerRD.com we discuss considerations for cesarean births including: concerns for mom and baby, how to address these concerns with a food-as-medicine approach, vaginal inoculation, and tips for a speedy recovery! Ali shares her story of home birth turned hospital cesarean and how she took action to ensure optimal health for herself and her baby, Stella. It's a truly inspiring story! Because our conversation was jam-packed with resources to support those planning or recovering from a cesarean birth, we decided to split the episode into two parts. That way, you'll be able to take in all of this great information without feeling overwhelmed (in a good way!). Ali Miller is an integrative functional medicine practitioner with a background in naturopathic medicine. She is a Registered and Licensed Dietitian, Certified Diabetes Educator, certified weight management specialist, recognized leader, speaker, educator, and advocate in her field. Ali has a passion to create public awareness regarding the significant role diet plays in our overall health and believes everything we put in our body can contribute towards optimal health or dysfunction and disease. Her Food-As-Medicine philosophy is supported by up-to-date scientific research for a functional approach to healing the body. Ali’s message has influenced millions through media with weekly television segments, corporate outreach and within the medical community, and named one of Houston's 50 most influential women of 2015. 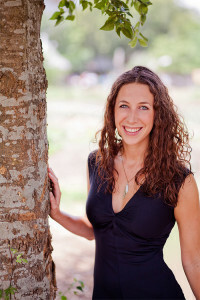 Ali’s expertise can be accessed through her website: www.alimillerRD.com offering a blog, podcasts, online learning, and access to her practice in Montrose, Naturally Nourished. Click here to listen or find the podcast on iTunes or Stitcher! Please remember that the views on this podcast and website are not meant to be substituted for medical advice, shouldn’t be used to diagnose, treat or cure any conditions, and are intended for general information purposes only. 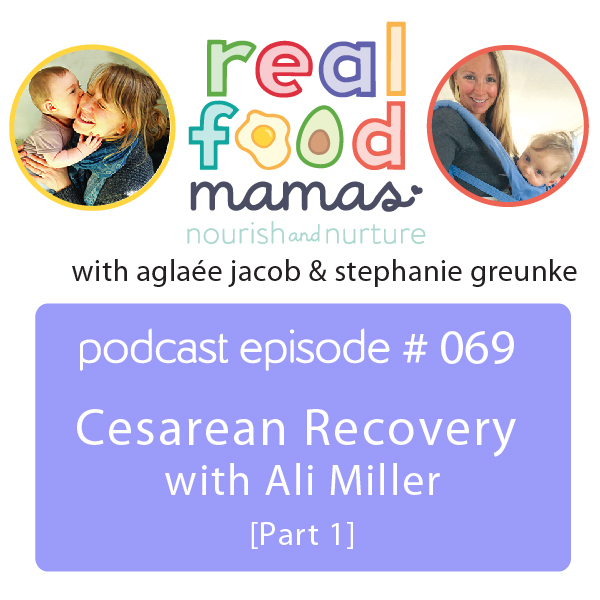 In this episode, Stephanie interviews Ali Miller, RD from AliMillerRD.com to discuss considerations for cesarean births including: the mental and emotional side of changing your birth plan, concerns for mom and baby, and tips for a speedy recovery! Ali shares her story of home birth turned hospital cesarean and how she took action to ensure optimal health for herself and her baby, Stella. It's a truly inspiring story!